We are all busy. We work, have children, have partners to devote time to, houses to clean etc. We all have our stuff to-do. Unfortunately, with lives as busy as they are and the unrealistic expectations we place on ourselves, we often neglect the most important people in our lives: ourselves. I am a big proponent of 'self-care'. 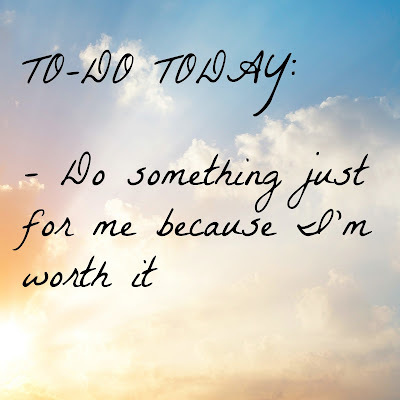 As a busy mom, this something I need to make a priority and I need to do so very deliberately. It's important, because to be the best mom I can be, I need to be happy first. It's that ever-popular oxygen mask analogy: you need to secure your own mask before your children's because if you pass out, your kids are doomed. Basically: take care of yourself first or you're not going to be able to take care of anyone else. Physical self-care means getting your body moving! Physical activity produces good-feelings. I won't get into the science behind it (primarily because I don't know it) but it's common knowledge that physical activity increases endorphins and makes you feel good. Physical self-care can mean going for a walk, a run, doing yoga, riding a bike, playing a sport. Mental or intellectual self-care is activities that foster your sense of mastery, critical thinking and/or creativity. Mental self-care can include things like learning a new skill, reading a book, painting a pictures or playing an instrument. Spiritual self-care means exploring your place in the universe, your understanding of life and it's meaning. To some, this can mean going to church, to others it can mean meditating or gazing at the stars. Emotional self-care is the process of acknowledging, accepting and expressing emotions. Emotional self-care can include activities like writing in a journal, expressing yourself through art and seeing a counselor. Social self-care is about nurturing your relationships with others. This can include your extended family and your friends. Most of us crave social interaction but don't make enough time for it in our day-to-day lives. Social self-care is about deliberately connecting with people who are important to us. 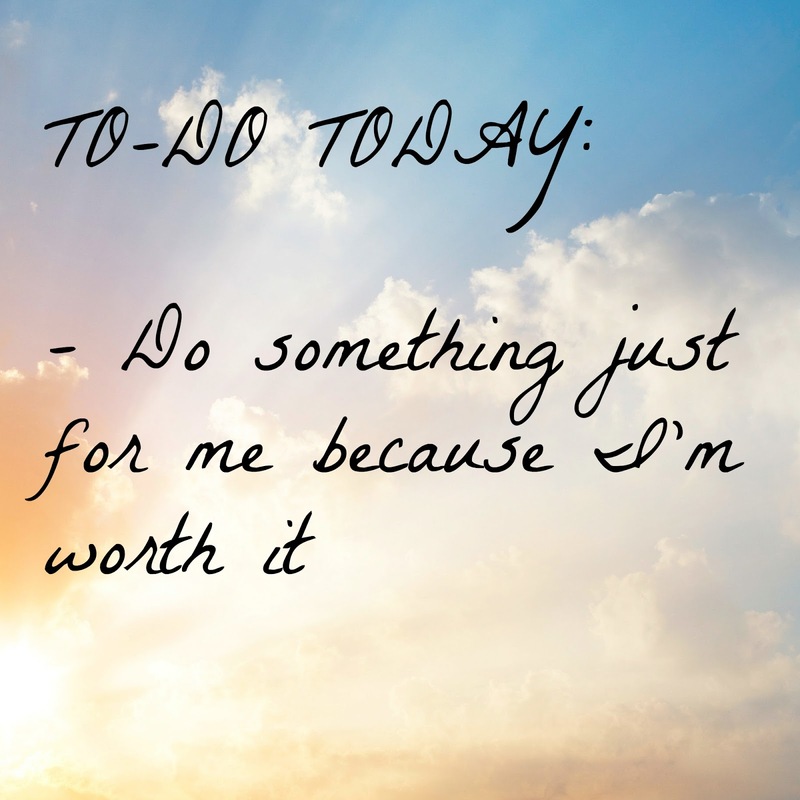 My challenge to you: pick a self-care type a day and do something just for you!!! stay tuned for an upcoming post with a list of self-care activities!